Gov. Wally Hickel became part of Alaska history as half of a team with his wife, Ermalee, who died Thursday at 92. He had died in 2010. Wally Hickel was visionary, brash and impulsive. Ermalee Hickel was calm, empathetic and insightful. He turned to her and followed her counsel. She guided and protected him, out of sight. "Dad had the vision, and he'd pass it over to Mom, and she'd give him the OK," said their son, Joe Hickel. Their love and mutual respect was obvious. He called her "mother." He said she was "as delicate as a butterfly but as tough as a boot." Hickel struggled with the written word due to dyslexia. 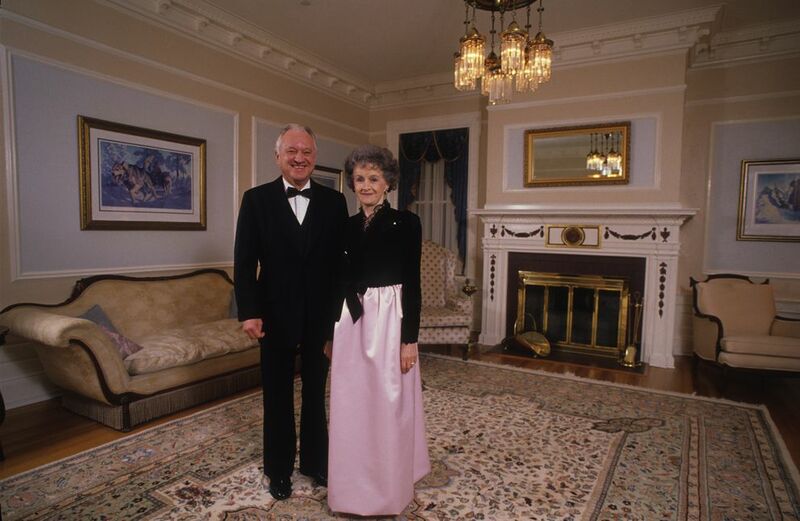 Ermalee helped him write, taking dictation on her typewriter, and as he launched a political career, that eventually made the couple friends of presidents and kings. Ermalee was born in 1925, daughter of Louis and Aline Strutz, a year after they moved into a cottage near Cook Inlet. It still stands at Ninth Avenue and P Street. Anchorage was brand new. The house containing the six Strutz children lacked plumbing. The family kept cows on the land nearby, which became the Delaney Park Strip, Joe Hickel said. One of Ermalee's chores was to pick salmon out of a setnet on the muddy beach just down the hill from the house. Aline Strutz lived the rest of her life in that house, bragging she had stayed longer in one home than anyone in the city — 71 years by the time she died at 96. As a girl, Ermalee was a leader in Anchorage's tiny school. She knew Janice Cannon, a girl a few years older who married Wally Hickel in 1941 but who died in 1943. Janice left Wally with a young son. He lived with her grandparents in Anchorage while trying to pay off medical bills. But he knew of the Strutz girls and thought one of them might make a good wife. Ermalee Strutz was still in high school while working as a typist on the city's busy military base, Fort Richardson, during World War II. Wally Hickel was an aircraft inspector there. They were married in 1945. They fixed up a little house together. She put up wallpaper and he taught himself carpentry, adding a foundation of concrete poured in 5-gallon buckets. The profit from the sale of the house started his amazing five-year climb to wealth in real estate. He used the money they made to build three more houses in Spenard, which he also sold for a profit. The shape of the couple's partnership never changed. When they began building the Hotel Captain Cook in 1964, Ermalee made decorating decisions, as she had in the first house. Into the 1980s she would still wrangle the hotel's housekeeping staff, Joe Hickel said. 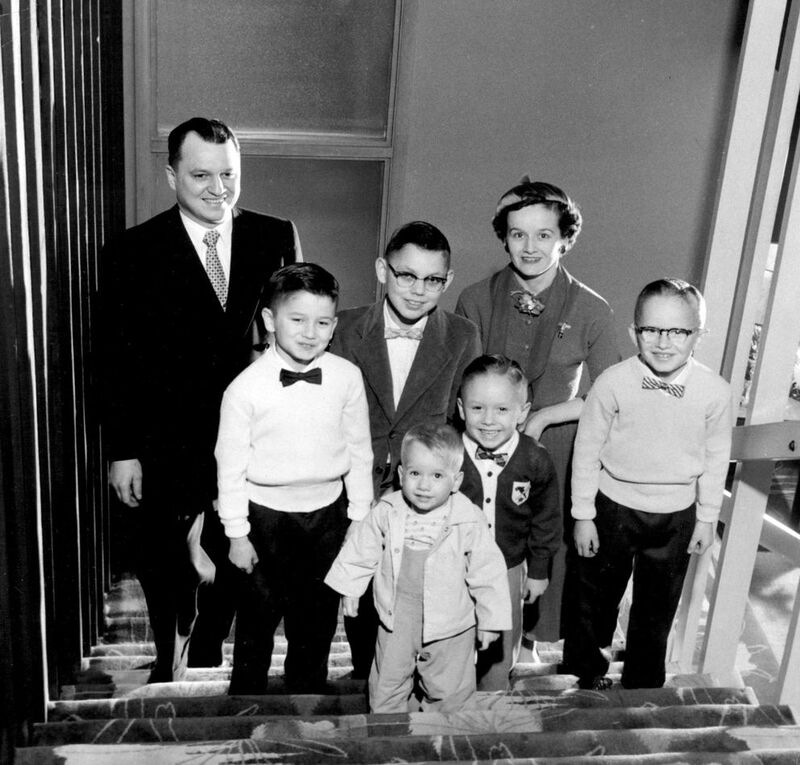 Chris Swalling knew the Hickels as a member of a band of neighborhood boys who filled their house, along with the six Hickel boys, near Fish Creek in Turnagain. He said Ermalee Hickel was "very loving, very caring, but could be very tough. So we all liked her a lot, but we really respected her, too. You didn't want to get sideways with Mrs. Hickel. And if she thought she needed to straighten you out, she'd do that in an instant." With Swalling's mother, Minnie, Ermalee helped to found a charitable organization that became Catholic Social Services, he said. She became a grandmother figure to his own children, too. When Wally Hickel became governor in 1966, Ermalee was too busy as a mother to do much work as first lady — although she enjoyed telling how she ironed Charles Lindbergh's pants before he addressed the Legislature. 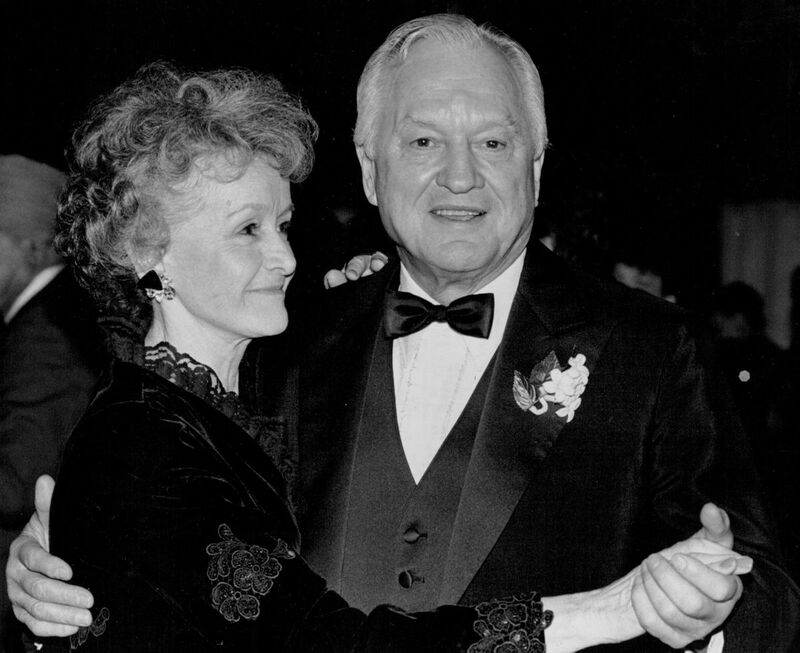 But when the Hickels returned to the Governor's Mansion in 1990, she worked on many causes, according to an essay by her assistant at the time, Marilyn Bushre. Ermalee Hickel carried a copy of the children's book "Are You My Mother?" in her purse, ready whenever invited to read to schoolchildren, Bushre said. She regularly dropped in on Alaska Pioneer Homes for meals with elders and sometimes ate lunch at the soup kitchen in Juneau or at the state's juvenile detention facilities. She brought the problems she learned about back to the governor's office, where she was respected and obeyed, said Mead Treadwell, a staffer and friend. Bushre said Hickel helped get benefits for families to care for disabled adults and children at home. She worked to raise awareness of fetal alcohol syndrome and to protect seniors from scammers. "What's more, she never, ever took credit for anything," Bushre wrote. Treadwell said she also got the governor to reverse his opposition to the Alaska Permanent Fund dividend after learning on her travels how Alaskans relied on it. "She didn't all that often get involved in changing policy, but if she thought it was going to be hurtful for his career and misunderstood by Alaskans, she would stand on us. You know: 'Call me back when you have a statement,' " Treadwell said. He also saw her other side. Treadwell was out of town when his late wife, Carol, found their baby, Jack, not breathing in his crib. The first lady stepped in, stayed all day with Carol at the hospital and prayed with Mead over the phone, then brought Carol home and helped make funeral arrangements. Ermalee Hickel continued to live in the house in Turnagain after Wally died seven years ago. "I last saw her about seven days ago," said Malcolm Roberts, a friend. "She was in bed and hadn't gotten out of bed in some time. And she had talked for the last year about wanting to rejoin Wally. She was a committed Catholic and believed in the afterlife and wanted to join Wally, as she said so many times. And now she has her wish." I was lucky to know Wally Hickel. I had only a few conversations with Ermalee. But knowing him, I think I may have known her, too.